New item in original packaging. Air Force badge regulation size mirror finish Senior Force Support. 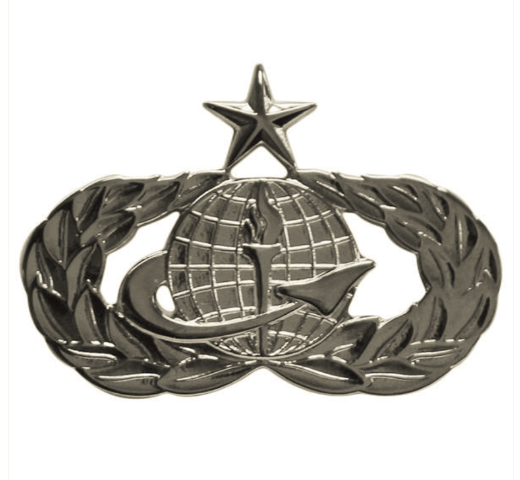 Officers wear the senior badge after seven years in the specialty.